Volcanos are a natural phenomena that have both fascinated and scared us human beings ever since the beginning of life on earth. Touring around Iceland, one of most volcanically active places on earth, will certainly make you curious to know more about them. If you want to dig deeper, head to the FREE volcano exhibition at the Volcano House in Reykjavik. And who knows, maybe you even get inspired to climb down a volcano yourself? The best known volcanic eruption ever is most likely the outbreak of Mount Vesuvius in Roman Italy back in the year 79 AD. In the 3D film Pompeii (2014), the Roman town that was preserved for almost two millennia under the ash of the volcano, comes alive with the ultimate gladiator hero and Games of Thrones star Kit Harington. But in April 2010, the whole world turned its attention to Iceland, when the glacier volcano Eyjafjallajökull on the South Coast of Iceland erupted with full force. Since its ash could stay airborne for 4–7 days, Eyjafjallajökull caused a several days standstill of air traffic in many European countries and beyond. Compared to the other active volcanoes in Iceland, however, the eruption of Eyjafjallajökull was actually a minor one. As one of most volcanically active places on earth, Iceland has around 150–200 volcanoes that are split into different volcanic systems – and around 30 of these systems are still considered "active" today. 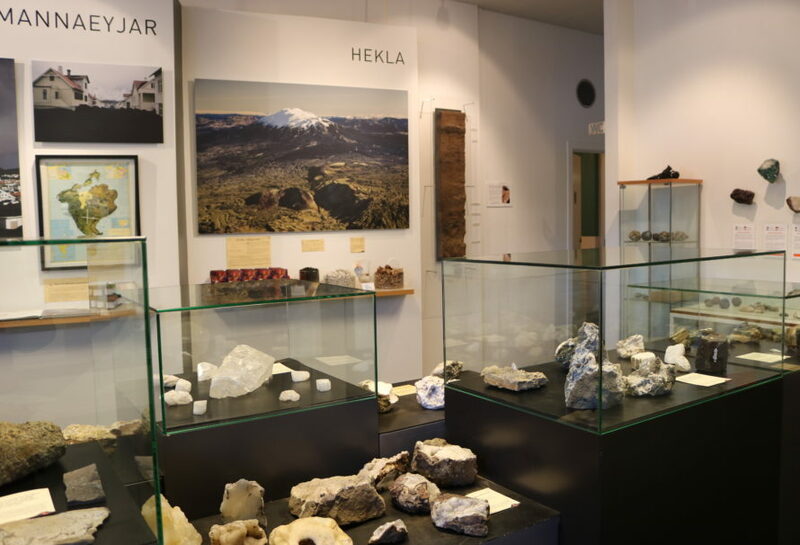 The Volcano House offers a free, hands‐on exhibition with images and information panels as well as a geology exhibition that features many different mineral samples, lava, pumice and ash from famous eruptions. Here, you will get a chance to touch the ash from the 2010 eruption of Eyjafjallajökull or the lava from the 2014 eruption of Bárðabunga – which was, by the way, one of the two largest volcanic eruptions in recorded history. I was shown around by Daan, the General Manager at the Volcano House. I found that by him sharing some additional facts with me, I learnt a lot more about the Icelandic volcanoes than I would have if I had walked around on my own. He also made me aware of a screen at the top of the room detailing all the current earthquakes that have happened in Iceland in the past few hours alone. So don't be shy to ask for a guided tour. At the Volcano House, staff members are always around and they are all very passionate to tell you more about volcanoes. The Volcano House also has a small cinema in which an insightful documentary film is shown in English every day on the full hour (other languages on request). The first show is at 10 am, the last one at 9 pm. Every show lasts one hour. Thus, the Volcano House is a great choice for a "late evening" activity or a rain alternative if the weather outside is not that great. The film is made up of two documentaries, which each focus on a famous volcano eruption in Iceland. The first one is about a 1973 volcano eruption on Westman Island, which covered half the town in lava. The second, and perhaps most impressive one, is an Emmy‐nominated film about the 2010 eruption of Eyjafjallajökull. A ticket to the show will cost adults 1,990 ISK (around 18 €) and can be booked via TourDesk. 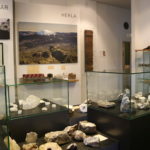 If you like to take a piece of an Icelandic volcano home with you, have a browse through the boutique, which is located within the exhibition area. You can buy bottles of ash from Eyjafjallajökull, Hekla and Vestmannaeyjar as well as soap, lava rocks, pumice, mineral samples or lava jewellery. The Volcano House is conveniently located between Downtown Reykjavík and the harbour front of Reykjavík. 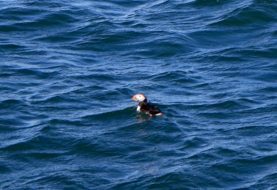 All boat tours, such as whale watching and puffin watching, leave from this harbour, so you can easily combine your visit to the Volcano House with an exciting boat tour. If you get hungry: There is a Fish&Chips restaurant in the same building right next to the exhibition. You can also find a Japanese Ramen place just across the street. As mentioned previously, the Volcano House is conveniently located near Reykjavík's harbour front. The address is Tryggvagata 11. If you're coming from Downtown Reykjavík, you should be able to find your way here simply by walking a few blocks from downtown towards the harbour. Want to get even closer to a volcano? How about taking the Inside the Volcano Tour? 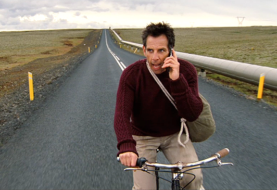 Be aware that the 5–6 hours tour from Reykjavík is not that cheap. But, on the other hand, it's a once‐in‐a‐lifetime experience! 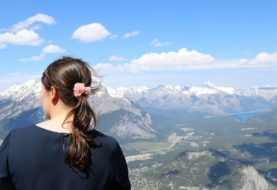 Where else in this world can you climb down a giant (dormant) volcano? This is as close as you can get to the "Center of the Earth" as depicted in Jules Verne's epic novel Journey to the Center of the Earth and the film of the same name from 2008. Ready to get volcano wowed? Disclosure: I received a complimentary ticket for the Volcano House via Tour Desk. The views expressed in this blog post, however, are entirely my own and thus reflect my personal, unbiased experience. If you book a tour through my dedicated Iceland tour booking website on TourDesk, I will receive a small affiliate fee, which I use towards running my website.